Pacio will now attempt to do what neither Natio or the man Natio took the belt off of Alex Silva could do, and that is to mount a successful defense of the title he has only recently claimed. 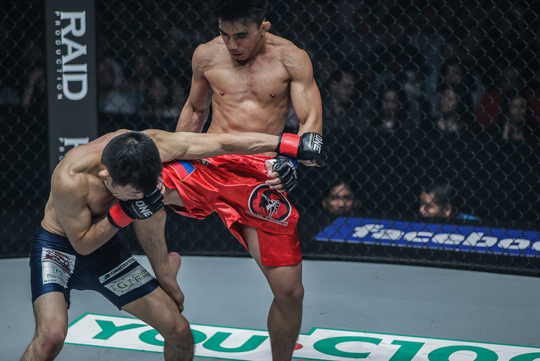 “The Passion” is set to have his first defense on 19 January at ONE: ETERNAL GLORY in Jakarta Indonesia against the highly-rated Japanese athlete Yosuke Saruta. None of this is news to Pacio, and the 22-year-old is aware of the fact that there will be no room for errors when the cage doors close on 19 January. “That goes for the rest of the team. Our dedication and love for this sport allows us to do amazing things. We find ways to train through anything. Even though we don’t have fancy gym equipment, or the latest in technology, or even nutritionists, we still manage to succeed with good old fashioned hard work.